Small cozy apartment in the historic centre of Barcelona. This apartment of 42 m² is well equipped. It has 2 twin bedrooms. Each bedroom is well-lit. There is one bathroom, an american style kitchen and a living room with a comfortable double sofa bed and table with 4 chairs. The kitchen is equipped with a microwave, fridge, freezer, toaster and dishes. The apartment also has an internet connection and washing machine. 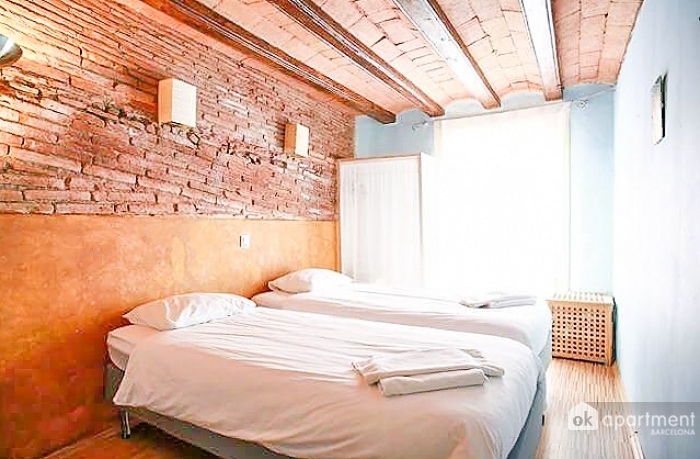 This apartment is situated in the centre of the city, next to the Plaza Pi. This is the famous square a few metres from Basilica de Santa Maria del Pi. 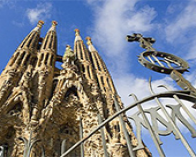 You'll be able to explore the historic centre of Barcelona by foot. The main pedestrian street Las Ramblas is situated very close to the flat. Port Vell is located down the street Passeig Colon. There you'll find Maremagnum shopping centre. The closest Metro station is Liceu.